It's time for the Fall One-Act Festival, and Hope gets the honored privilege of debuting her very first original play! With Bryan directing and Jason and Sam as the leads, it seems as if nothing could go wrong with this dream team of talent. But where's the fun in that? Enter Sam and Jason's onstage chemistry that's so hot, it's working overtime offstage! Course, Sam's real-life beau, Eric isn't so cool with that. And what about Bryan? With his sexual orientation public knowledge, he's gaining some admiring attention from the most unexpected people. Can you blame them? Paul Ruditis is the author of many licensed fiction and nonfiction companion books, from Charmed and Buffy the Vampire Slayer to Star Trek and Bones, among others. He lives in Burbank, California. 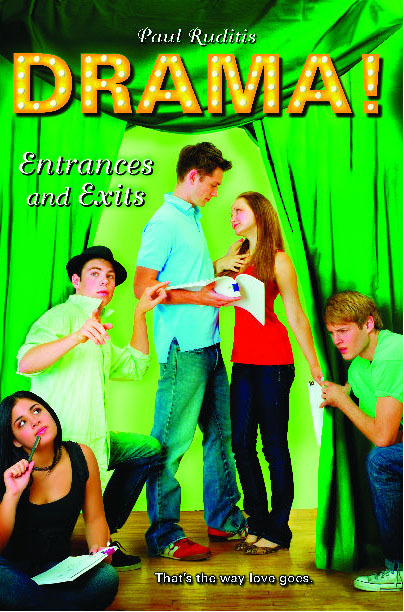 More books in this series: Drama!